Jane was really interesting and useful. She had a lovely manner and did not make us feel like we had no idea what we are doing (even if that was the case) and gave us confidence that we can work with Dexter on all the issues and that he is a very normal dog and a bright boy! 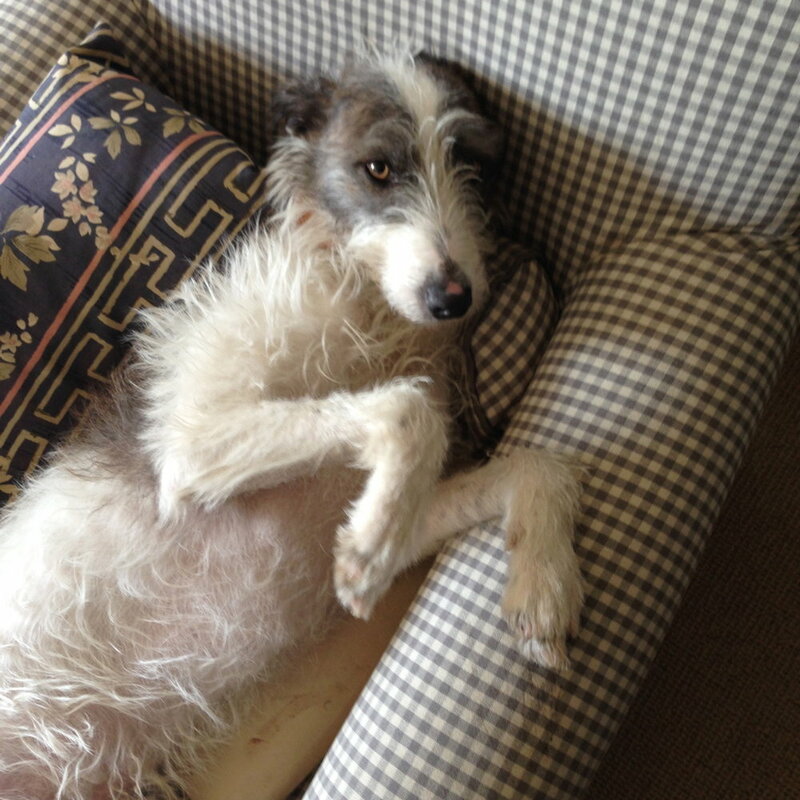 As utterly clueless first time owners we were overwhelmed by the advice and information available to us. We phoned around and considered other trainers, but after speaking with Jane we knew she was the one for us. She has guided us through the training process and we feel very safe in her knowledge and understanding of how dogs think and the best way to train them. This was serious fun! Serious, and fun! Also essential for any owner who wants the best from their relationship with their puppy/dog. Jane knows her stuff and shares her skills and knowledge generously. She even baked special healthy appealing treats for my pup who is, umm, very discerning shall we say.. a million thanks again Jane, see you in the advanced class! Diana & Family of Pretzel 🥨 . Thank you for the training you've helped me with over the past weeks. You've really helped me better understand how to interact and develop Yogi and Booboo and the difference I have noticed in them already is huge as a result. I'm sure we'll be back in touch in the future for more training but thank you for everything so far. Jane was incredibly knowledgeable and thorough. She was very patient with our family, who were first time puppy owners. Jane is very approachable and super friendly. 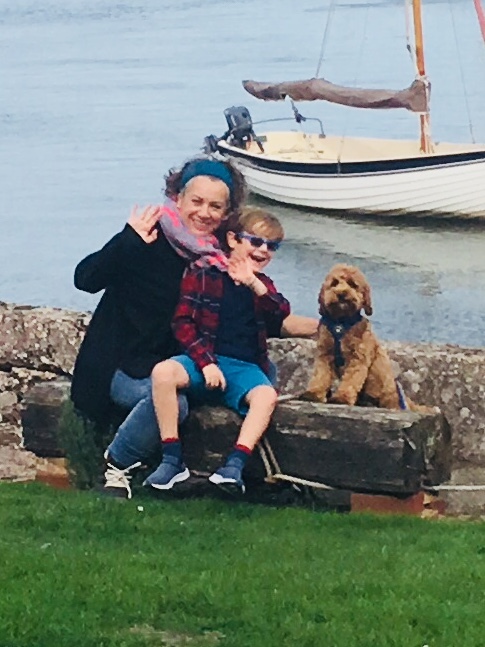 Our Cockapoo, Benji, adores Jane and has developed into a gorgeous, well behaved pup because of her help. Even when we’re not training Benji with Jane, she is always available to answer our questions and offer advice. I highly recommend training your pup with her. Working with Jane is a real pleasure, both for me and for my puppy Mare. We look forward to our weekly lesson and leave each time having learned valuable skills that we will keep for life. I've learned so much about setting Mare up to succeed and creating an environment for us both to thrive and live together harmoniously. I cannot recommend Jane highly enough. She is a dog whisperer, and a miracle worker. She's so great with Mare, who, like me, is always really happy to see her. Give yourself and your dog the ultimate gift of creating a happy future together and take lessons from Jane. You will absolutely not regret it. I actually don't know what we would have done without Jane for the last 5 months. She has been with us every step of the way helping us to train and more importantly to understand our puppy. We brought home a 9 week old Leonberger and to say he was a challenge is an understatement.... frantic biting attacks, chewing, toilet training, jumping up, teething, getting attention from strangers and several other typical puppy traits which are so much more of an issue with a fast growing giant breed! Having an expert on hand to observe and explain his behaviour and how to deal with it has been invaluable. We have watched our 'unruly'(or as we now understand 'a quite easily stressed personality with a very short attention span and very low frustration tolerance') grow(ing!) in to a well mannered, well behaved, happy boy who is a pleasure to take out in public. We will definitely continue with train as we approach the teenager phase. As first-time dog owners, we were really working in the dark with our new puppy, Georgie. We found Jane Robinson’s website and made contact to arrange some one-to-one training. We can say, absolutely without condition, that Jane was marvellous. 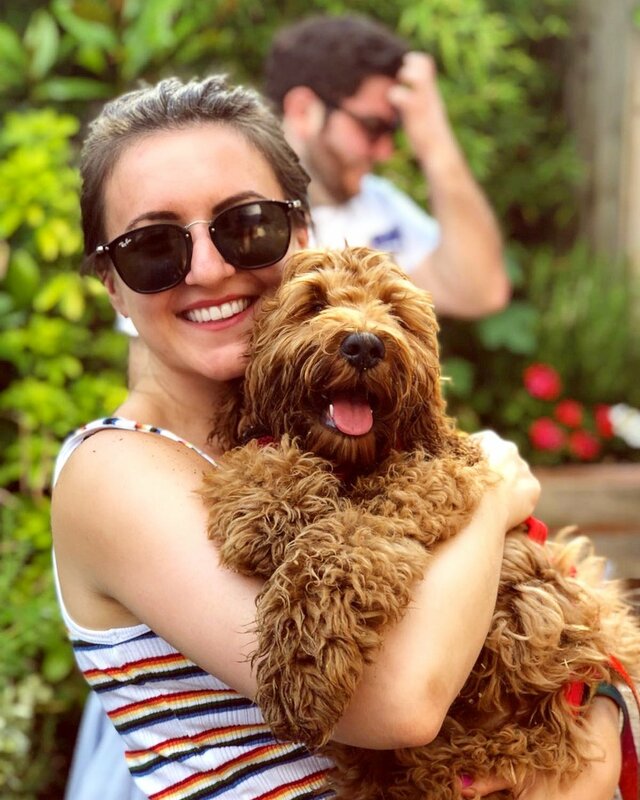 Over half a dozen sessions, she explained clearly and logically how we should guide Georgie’s behaviour, always stressing positive reinforcement and helping us see things from our dog’s point of view. Lessons were followed up by a comprehensive e-mail summary and everything we learned made complete sense, so that we now feel we have an insight into Georgie’s thinking and behaviour that we simply would have not had without Jane. She was brilliant and we can’t recommend her highly enough. Positive reinforcement has a long reach! "Positive reinforcement": I found those code words for dog training online, an approach that rewards the positive and ignores the negative, and called dog trainer, Jane Robinson. I had just arrived in London from the US for a five month visit with my Labrador retriever, Nynke, and we needed help badly. My dog was accustomed to sniffing grass along the sidewalks at home but Muswell Hill presented her with little else than asphalt. Nynke quickly made life interesting by grabbing tissues, of which many littered the street. From the moment we met her Jane's seasoned dog handler energy--brisk, confident, and promising great fun--had a beneficial effect upon Nynke and me. Where I'd despaired helping my dog overcome an unfortunate new habit nothing seemed too difficult to resolve now, and my dog instantly was riveted upon Jane's every word and slightest movement. Out in the street Jane had lots of tips on how to channel Nynke's attraction to tissues by giving her positive reinforcement for ignoring their allure. We also worked in a safe space on retrieving, which Nynke, despite her breed, did not like so much as playing "keep away." Even now, a year after our time with Jane, when I say "take it" in a "Jane way" Nynke snaps to attention and to my amazement complies cheerfully. Nynke and I worked with Jane for the full five months we lived in London, and I am sorry that we cannot work with her still, though as I mentioned we took what we learned from Jane and brought it with us all the way across the pond. Positive reinforcement has a long reach!